At any given time our New York-based public relations teams are managing the accounts of clients from Pennsylvania to Poland. International business helps put a PR agency (quite literally) on the map, opening doors to expanded business opportunities. Given our large number of clients beyond the U.S., we’ve learned some tricks to help erase borders, ease language lapses and tame time zone issues. The ability to manage coverage and race through the time zones with a new product announcement driven by embargoed stories has become more challenging. Every journalist is scouring the web for stories, and more power to the outlets that scoop a news announcement when they can. This doesn’t have to mean a loss of coverage, though. It just takes smart strategy and managing client expectations. We recommend talking to clients at the outset to understand their relationship with in-country outlets (e.g., are they covered often, positively?) and having a game plan to maximize relationships in each market. We’ve also made it standard practice to understand how the press operate in different markets. A recent Oxford University study noted that the PR industry continues to adapt to the acceleration of news cycles and the rising pressure journalists face every day. 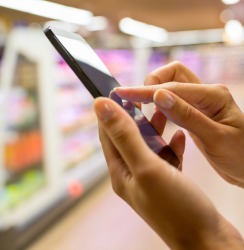 Negotiations on exact embargo times have become more complicated and exacting as major financial newspapers publish in different editions and time zones, as well as online. To mitigate the challenges, we look at trends in media coverage of international announcements, then adapt our outreach to meet media expectations. International coverage can ultimately affect strategy in the U.S., so it’s useful to know as much as possible upfront. English may be the universal language of business, but we don’t all speak or write the same English. Expressions that are common in the U.K. mean something different – or nothing at all – in the U.S. For instance, a U.K.-based currency exchange client assigned our office a byline on summer rentals abroad. Some of the information included the term “bedsit.” To those across the pond, a bedsit is a one-room flat. We had to make changes to Americanize that piece and many others. Literal translations of press releases from, say, French to English often read robotically, or worse, erroneously. They may fare far better when the U.S. agency totally rewrites helps edit. Additionally, owing to the differences in expectations by media outside our country, PR firms abroad often write in a much more self-serving manner. We’ve seen press releases that are little more than ads, but we continue to think that news value is important, so we adapt accordingly. 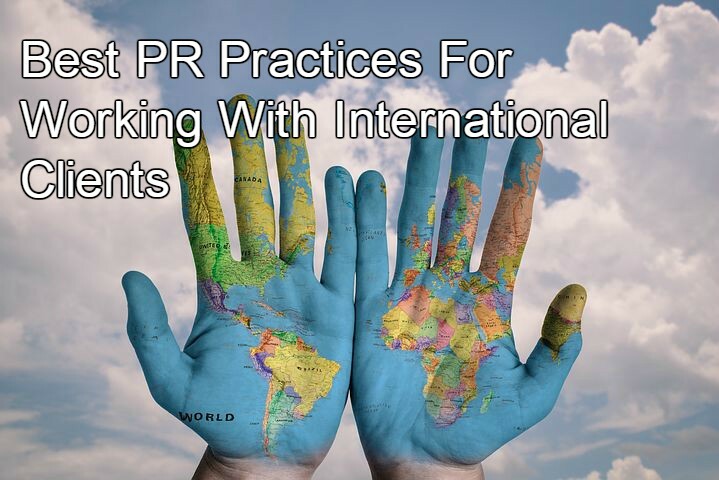 If you think PR is demanding inside the U.S., well, it only becomes more so when you handle international clients. Most PR strategists know that Israeli companies are closed Fridays and start their workweek on Sundays. Courting a client in the Netherlands? Note that the country has an average 29-hour workweek lasting four days, which impacts scheduling. Then there’s the long European summer vacation, as most businesses are effectively OOO throughout August. We had a French client schedule a major U.S. launch in early October, fully intending to work with the team on crucial planning aspects through the summer, only to experience three weeks of radio silence in August. We begin relationships by going over detailed 120-day planning calendars, giving client and agency ample opportunity to plan well and factor in vacations, holidays and other scheduling needs. There are other quirks of time and culture as well. Any time you’re scheduling a call in Asia or Australia, be careful what day it’s scheduled as well as the time. An Aussie’s 9am Tuesday is a New Yorker’s 7pm Monday, of course. Skype, FaceTime, Viber, WhatsApp and more. Nothing helps lubricate a cross-border business relationship better than a face-to-face meeting. When you can’t travel to meet, a video conference shrinks the size of the world and brings partners together with ease. But there are glitches to manage here as well. To concentrate on a call where the language barrier or strong accents hinder note-taking, try one of the Skype add-ons like Callnote that records your conversation. To minimize opportunities for misunderstanding, we also recommend light scripting of the conversation. These calls also provide a great opportunity to observe body language and look for any “tells” that reveal impatience or confusion as well as positive signs like sense of humor. Additionally, as we become more reliant on video conferencing to make international business smoother and more efficient, we’re reminded of some key do’s and don’ts from the Wall St. Journal. Most good meeting tips work well domestically and abroad, like the importance of sending an agenda in advance of a call or videoconference, preferably in a collaborative document so everyone’s can contribute to it. To keep the communication clear, invest in the highest-quality microphone and other a/v equipment as possible. Nothing is worse than comments like “Who dropped off?” or “We can see you but we can’t hear you,” all illustrated by this popular conference call Bingo game making the rounds online. Also important, make judicious use of powerpoints and other documents, keeping them as clear, visual and non-wordy as possible. We like to use graphs and charts to express important data for those whose first language may not be English.